I got my iPhone 6 Plus last Friday. Here are my thoughts after one week of use. I am a big guy (1.94 m) with correspondingly large pockets. I have no problem fitting the iPhone 6 Plus in my jeans pocket, and even biking with the phone in the front pocket is fine. (And no, it hasn’t bent yet.) In my shirt pocket, the 6 Plus does stick out a little bit, but not nearly as much as can be seen in Nilay Patel’s video review for the The Verge. My hands are also considerably larger than the average male’s, and I found that I can operate the iPhone 6 Plus relatively comfortably with one hand. True, I cannot reach a button in the top corner opposite my hand without changing my grip, but all other areas are within reach. Depending on your size, your experience may be very different. In fact, I suspect using the 6 Plus may feel to me not unlike a small person would feel about the 4.7-inch model. The way the display glass curves around the sides is stunning and feels great in the hand. There is almost no discernible seam between glass and aluminum. It must have taken Apple’s industrial design team tons of work to arrive at this level of workmanship. The curves also make the built-in swipe gestures feel a lot more natural. The antenna bands, on the other hand, are ugly. Is there really no better way to design this? It’s not quite as bad as shipping a smartwatch with a circular screen that isn’t quite circular, but I don’t think it’s up to Apple’s standards. Nor am I a fan of the protruding camera lens, though it isn’t a big deal in practice. Unlike the iPhone 6, the 6 Plus does not wobble when placed flat on a tabletop, due to its slightly thicker body (the lens doesn’t stand out as much) and larger footprint. I never used a case for my previous iPhones, but the 6 Plus seems to be begging for one. The smooth, edgeless design makes the phone very slippery. That combined with a less secure grip due to the device’s physical size made me almost drop it on several occasions just in the first week. The screen is stunning. I cannot say if it’s the better contrast ratio, the higher resolution, the closer proximity of the display to the front glass, or the improved viewing angles, but the end result is a significant improvement over the iPhone 5s. Reading text on the iPhone 6 Plus is an absolute delight. So far, I haven’t noticed any artifacts caused by the rendering at a non-native resolution. Unsurprisingly, the large size and the beautiful screen make the 6 Plus a great device for things like reading, watching videos, and playing games while you are not on the go. I expect to use my iPad much less from now on. In fact, I haven’t used it at all since I got the iPhone. I felt very self-conscious on my first outing with the iPhone 6 Plus as a camera, as if I was taking pictures with a tablet. I also had the constant impetus to have to hide the huge screen to stop passers-by from looking at the photo I was framing, although actually nobody took notice. I presume these feelings will subside quickly as I get used to it. Similarly, putting the thing to my ear for a phone call feels awkward. It’s not a problem for me as I very rarely make phone calls. Most apps I use are not yet optimized for the new screen resolution. Until they get updated, they appear gigantic and feel quite unnatural in use. I expect the experience to get much better over the next few weeks, especially once developers really take advantage of the larger screen with optimized UIs. That said, I grew to appreciate the zoomed-in appearance of some unoptimized apps which resulted in bigger text and better readability in some situations (during biking, for instance). The 6 Plus is such a versatile device that I can see myself switching between smaller and larger text sizes regularly, depending on the circumstances. If your app does not yet support Dynamic Type, now would be a great time to implement it. Battery life is noticeably better. I did a bike ride with the iPhone 6 Plus mounted on the handlebar. After 4 ½ hours of GPS tracking and the display on at full brightness for most of that time, the battery was at 52%. My year-old iPhone 5s would have barely survived that long. 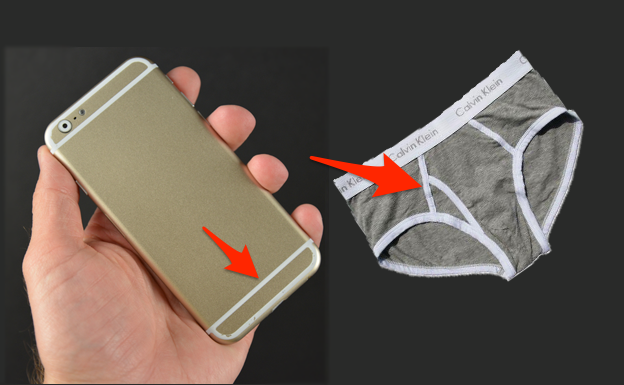 The iPhone 6 Plus is full of tradeoffs. If all you care about is one-handed use on the go, it is probably too big for you. For use on the couch, a tablet is the better choice. I was definitely skeptical if the 6 Plus could fit in the sweet spot in between these two categories for me, but after a week, I am confident that it does. I am happy with my decision. Again, your mileage may vary a great deal if you are smaller than me.